If your son is approaching that important age in their life and it is time for them to be having a Bar mitzvah, you will need to start thinking about Bar mitzvah planning. 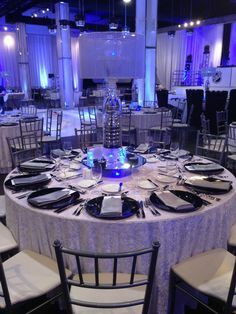 You will also very quickly realize that seeking a professional Bar Mitzvah planning service is the only way to assure a truly memorable and fun packed event. Accelerate Productions provide comprehensive planning services with the aim of designing and delivering an incredible celebration that will meet your exact requirements for this special event. We are able to provide a complete planning service from start to finish whether your Bar mitzvah party is to be a big lavish affair or a smaller more intimate event. With our wealth of experience in Bar Mitzvah party planning, we can provide every element you require, exactly how you require it. We handle every single part of the Bar mitzvah, allowing you and your guests to relax and enjoy this life event. No party would be complete without a Bar Mitzvah DJ to get the crowd going and set the mood. 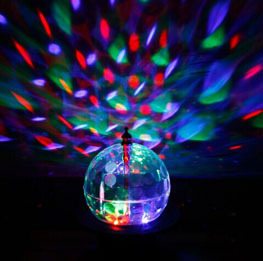 We provide only top flight international DJ’s for these events, ensuring that your guests are dancing all night long. We can even provide the Bar Mitzvah DJ Live experience, a blend of DJ and live music / band. In addition to a DJ, any other type of entertainment can be provided, in whatever form you wish. Dancers, magicians, stilt walkers and many others are available. The venue is a critical part of any event, setting the tone and mood whilst being practical. We can assist you in choosing your event based on our excellent and broad experience in the industry. We also provide catering, lighting, décor and absolutely anything else that may need to be organised. Accelerate are able to transform any venue into whatever is required and can work in rooms for 50 or 500 people. We can plan your event if it is a straight forward party or a sit down dinner. We always listen to the client’s every need and desire carefully and will meet regularly to discuss every aspect so that they will be assured that they will be receiving the very best. We will manage every aspect of your special day so that you can relax and be a guest at your own party! Every Bar mitzvah we plan is different and we always listen to individual requirements and treat each with the care and attention it deserves. We have planned many Bar mitzvahs over the years and feedback is always positive which often leads to further recommendations to friends and families. Booking Accelerate to plan your celebration from beginning to end is the right choice if you want a flawless, impressive, high quality party. If you want an expert, professional, personal and bespoke Bar mitzvah planning service then contact us via the website or email us or give us a call on +44(0)20 3130 4040 or +44(0)7956 104 086.